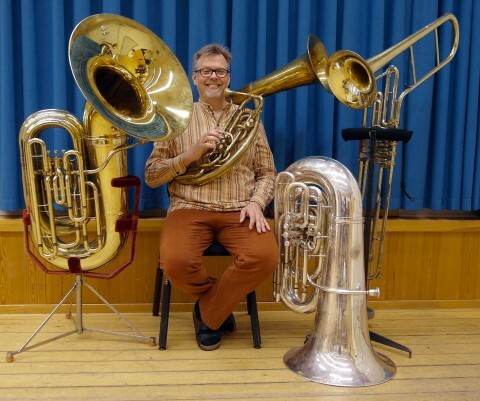 Verdi’s ballet music from Macbeth is scored to include a cimbasso — similar in range to a tuba or a contrabass trombone — and was a common banda instrument that Verdi regularly wrote for in his operas. The CSO doesn’t own one, and has never had one to use; it typically it uses a fourth trombone instead. Maestro Muti’s preference, however, is to use one. 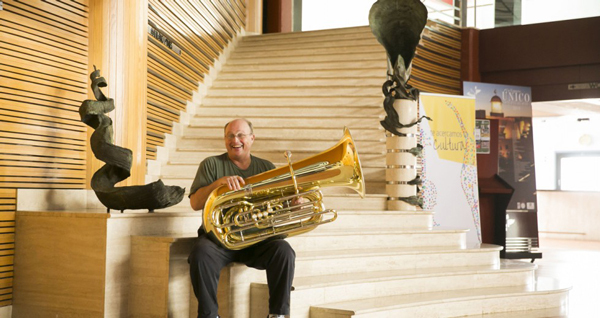 So for these tour performances, the Royal Swedish Opera’s tuba/cimbasso player, Carl Jakobsson, has graciously loaned his cimbasso to CSO Principal Tuba Gene Pokorny (above).